For the first time in county history, Putnam will most likely have two judges in the New York State Supreme Court’s 9th Judicial District. Democrat Victor Grossman of Southeast was the third highest vote getter in the 10 person race while Putnam Se… Please login below or purchase a subscription to the Putnam County Courier to access this content. Another chief school administrator will be leaving Putnam County. Mahopac Superintendent Tom Manko announced Sunday that he will be returning to his upstate roots due to family obligations at the end of the current school year on June 30, 2014. “My … Please login below or purchase a subscription to the Putnam County Courier to access this content. Hip-hop mogul Damon Dash—who once said he was worth $50 million— pals around with the rich and famous including Jay-Z and his wife, Beyonce. Yet, according to Putnam County State Supreme Court records, the entertainer, who reportedly own… Please login below or purchase a subscription to the Putnam County Courier to access this content. 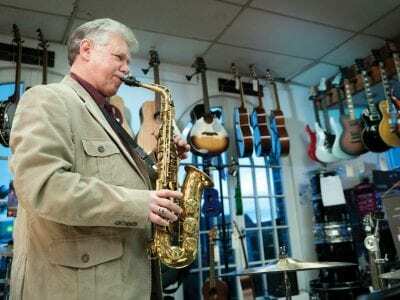 Dave Radovich plays the sax in his family’s Gleneida music shop. Dave, Cindy and Tiffany Radovich are passionate about their musical business, now celebrating its 40th anniversary. In 1973, a youthful Dave and his father-in-law, Rudy Dean, open… Please login below or purchase a subscription to the Putnam County Courier to access this content. Clockwise from top left: Jeff and Julie Redfield of Kent dance the night away. Lillian and Charles Melchner of Mahopac enjoy the evening. 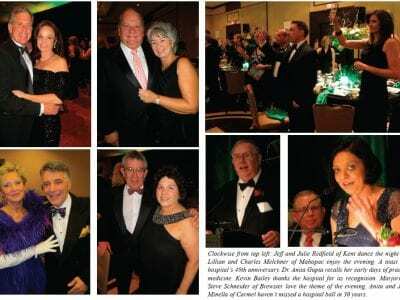 A toast to the hospital’s 49th anniversary. Dr. Anita Gupta recalls her early days of practicing medicine…. Please login below or purchase a subscription to the Putnam County Courier to access this content. 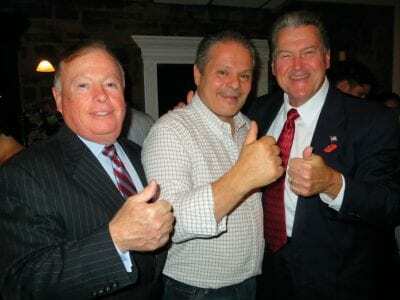 Political support among Republicans for District Attorney Adam Levy is rapidly dissipating, with State Sen. Greg Ball now calling for Levy to either resign or support asking the governor for an independent investigation of the events in Putnam Count… Please login below or purchase a subscription to the Putnam County Courier to access this content. 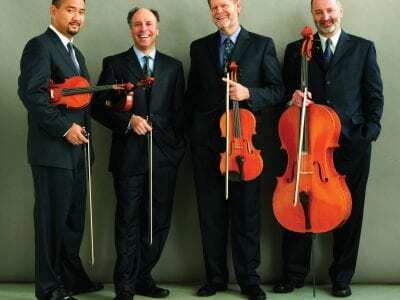 The Alexander String Quartet The internationally-noted Alexander String Quartet will play an all-Brahms concert in the Lodge at Tilly Foster Farm on Saturday, November 16, at 8 p.m. Presented by the Friends of Classical Music of Arts on the Lake, thi… Please login below or purchase a subscription to the Putnam County Courier to access this content.